Enrollment is for the entire term, but you may start anytime during the term. Pickup is $20 per month per child per Lab. Ask us if we can pick up at your school! The after school term fee is divided into 5 monthly installments (or pro-rated if you start mid-term). Fees are charged at beginning of month. 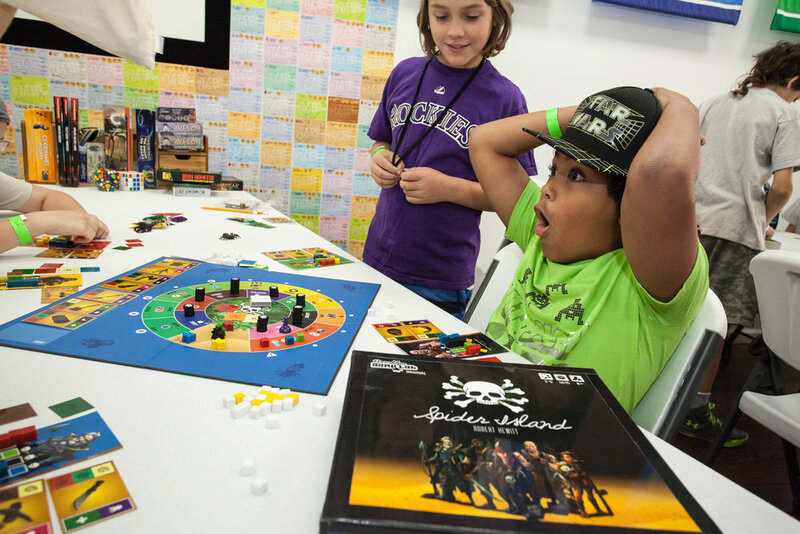 Enrolled families receive perks, including free gaming sessions, and select camp discounts. 1 Lab per family: $250 installment/month. 2 Labs per family: $450 installment/month. 3 Labs per family: $600 installment/month. 4 Labs per family: $750 installment/month. Each additional Lab beyond 3 is $150 installment/month. Further explanation below. Example #1: The Smiths have 2 children. Child 1 takes Tabletop Lab, and Child 2 takes Tabletop and Masterminds Lab. The Smiths pay a $600 installment per month. Example #2: The Chens have 1 child, who takes Quest Lab and Design Lab. The Chens pay a $450 installment per month. Please Note: Upon registration, your credit card will immediately be charged for your 1st month’s after school installment. Your 2nd charge will be automatically charged on March 1st.